Russia and the United States have agreed to a ceasefire in southwest Syria starting from midday on Sunday, Russian Foreign Minister Sergei Lavrov announced Friday. "Today in Amman Russian, American and Jordanian experts... agreed on a memorandum of understanding to create a de-escalation zone" in the regions of Daraa, Quneitra and Sweida, Lavrov said. "There will be a ceasefire in this zone from midday Damascus time on July 9." Lavrov was speaking at the G20 summit in Hamburg where he sat in on talks between US President Donald Trump and Russian leader Vladimir Putin - their first face-to-face meeting. The agreement includes areas that have seen Israel retaliate for stray fire into the Israeli-occupied Golan Heights from recent clashes between Syrian regime forces and rebel fighters. Russia, an ally of Syrian President Bashar al-Assad, has been engaged in talks this year with Turkey and Iran over four so-called de-escalation zones in the war-torn country. Negotiations in Astana this week failed to reach an agreement on the policing and precise borders of the zones, however. Lavrov said the ceasefire set to begin Sunday would be supervised by Russian military police "in coordination with the Jordanians and Americans". US Secretary of State Rex Tillerson confirmed the agreement. Tillerson said it showed the United States and Russia were able to work together in Syria and that they would continue to do so. "We had a very lengthy discussion regarding other areas in Syria that we can continue to work together on to de-escalate the areas and the violence, once we defeat Daesh," Tillerson said they would also "work together towards a political process that will secure the future of the Syrian people". In Washington, a senior State Department official briefed reporters about the ceasefire, saying the impulse for the move came from Washington and from Moscow. "If there's going to be a resolution of the conflict in Syria, we both need to somehow be involved in it," the official said. 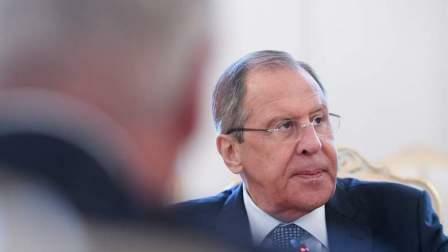 "The Russians are heavily invested in the conflict. We have an interest in finding an end to it - in ending the misery, in ending the violence, in ending the refugee flows and the radicalization that emerges from it." The United States has led a multi-national coalition since 2014 battling Daesh militants in Syria and neighbouring Iraq. Jordan said it was party to what it called a "tripartite agreement" together with Russia and the United States. "A ceasefire will take place along a line of contact agreed upon between the Syrian government forces and associated troops on one side and rebels on the other," government spokesman Mohammed Momani said. "The three nations voiced their commitment to working on a political solution" based on UN-backed talks in Geneva and UN Security Council Resolution 2254, he said, quoted by the official Petra news agency. Asked about the ceasefire, British Defence Secretary Michael Fallon was sceptical it would hold given the string of failures in the past. "We welcome any ceasefire, but let's see it, let's see the results on where these safety zones are proposed," Fallon told a Washington think-tank. "Let's not have the civilian population misled. "If they can be properly enforced then they are thoroughly welcome, and can then get in the United Nations humanitarian aid that was promised," said Fallon. The Syrian army had announced on Monday a unilateral ceasefire to halt fighting in Daraa, Quneitra and Sweida. These areas form one of the four de-escalation zones agreed under peace talks in Kazakhstan brokered by rebel backer Turkey and regime allies Russia and Iran. The Syrian army's unilateral ceasefire was to have expired at midnight on Thursday. Syria's conflict evolved from a bloody crackdown on protests in 2011 to a devastating war that has drawn in world powers, including Russia and the US-led international coalition. More than 320,000 people are estimated to have been killed and millions have been displaced.